Jonathan Himebauch enters his second season with the Double Blue. Himebauch returned to Toronto as the club’s Offensive Line Coach midway through 2017 after previously serving as the team’s Assistant Head Coach and Offensive Line Coach during the 2015 season. The native of Greenwich, Connecticut, has 19 years of coaching experience, including six seasons in the CFL and another seven with NCAA programs. In Toronto, Himebauch reunited with head coach Marc Trestman, who he previously coached with from 2009-2011 in Montreal where they won two Grey Cups (2010, 2011). Himebauch joined the Argonauts on September 12, 2017, and helped establish a newfound running attack that helped fuel a playoff run for the Argos. In the nine games following his hiring, the team averaged 100.6 rushing yards per game – up from 65.4 in the previous 11 games – and increased their average net offence from 372 yards per game to 428 yards per game. Under Himebauch’s tutelage, Sean McEwen earned East Division Most Outstanding Lineman honours and received his first career CFL All-Star nomination. 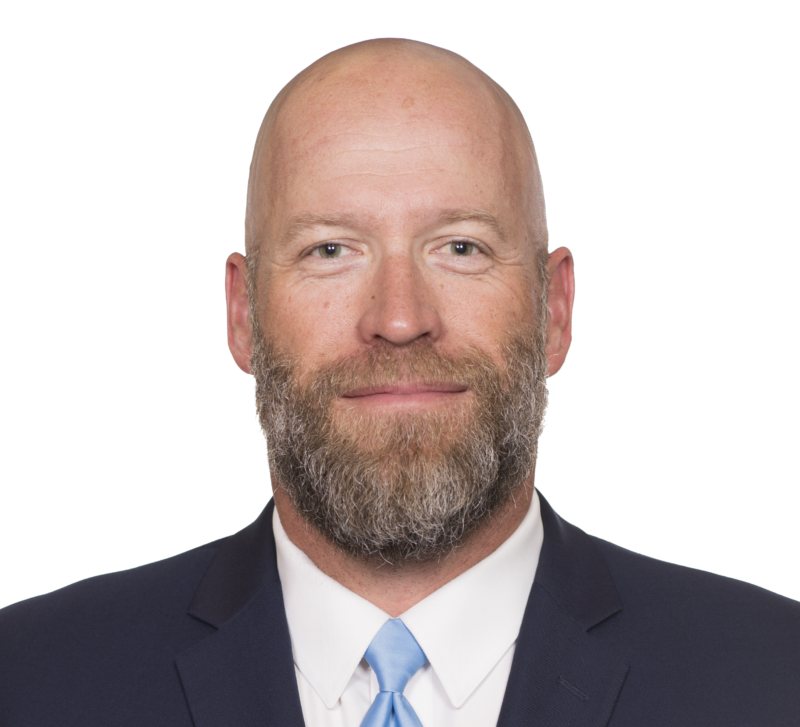 In 2015, as the Argos’ offensive line coach and assistant head coach, Himebauch helped coach an offence that ranked third in total points (375) and first in total touchdowns (33). Under Himebauch’s tutelage, rookie offensive lineman Greg Van Roten was selected as an East Division All-Star in his first CFL season while running back Brandon Whitaker also received East Division All-Star honours running behind the line. Himebauch’s CFL experience has seen him work as Offensive Line Coach/Run Game Coordinator for the Edmonton Eskimos in 2014. While there, he coached a unit that helped the club finish first or second in most rushing categories including first in most average yards per rush (6.4), and second in most average rushing yards per gm (136.6). Led by the offensive line, the Eskimos finished first in total net yards (6,548) and most average net yards offence per game (363.8) en route to an appearance in the Western Final. While in Montreal from 2009-11, Himebauch’s units were also sensational. The offence was in the top two in the CFL in all three seasons he was there in both scoring and offence while producing league-wide stars. His line, led by perennial all-stars Josh Bourke and Scott Flory (both of whom were named CFL Most Outstanding Linemen under Himebauch), paved the way for QB Anthony Calvillo to win the league’s Most Outstanding Player award in 2009, and then become the East Division’s nominee for the same award in 2010 and 2011. The Als’ offensive line was among the league leaders in fewest sacks allowed over a three-year period, and his linemen helped two different running backs reach 1,000 rushing yards in two of three seasons. Himebauch has coached Offensive Lines at San Diego State University, UNLV, Santa Barbara CityCollege, and Wake Forest. He was also the head coach at California’s Harvard-Westlake High School. He began his professional coaching career with the Calgary Stampeders in 2003 where he was the offensive line coach working closely with Jim Barker and Scott Milanovich. In 2004, he held the same position for the Las Vegas American Classic College All-Star game. Himebauch’s football experience includes many years as a player, including one regular season game and a playoff game for the Toronto Argonauts in 1999. Himebauch spent time in the NFL with the Arizona Cardinals and the Kansas City Chiefs. He was a member of the XFL with the Los Angeles Xtreme as well as NFL Europa with the Rhein Fire between 1998 and 2001. He played college football at the University of Southern California where he was a two-year starter at centre, a team captain and won a Rose Bowl championship over Northwestern in 1996. Himebauch graduated from USC in 1998 with a Bachelor’s degree in English. He also earned a Master’s degree in education from University of Nevada, Las Vegas in 2001.